“Excuse the amount of items in the place,” says Colin Young as we walk past lot of lots towards the auctioneer’s office. We visited Golding Young’s Bourne sale room shortly before their monthly sale. As such, all of the lots that would feature in both the collective and Arts & Antiques sales were stacking up. Hard to believe, but in a day or two, after the auction, the whole place would be empty. There was really no need for an apology. My eyes darted everywhere, over such a variety of furniture, antiques, art, household effects, vintage cameras, motorcycles and antique clocks. If it’s not in the room, you probably don’t want it! Does the company find it difficult to find stock in the internet era? Oh no. In fact internet auction sites as they’re known have created a whole new market for real auctioneers for products that previously failed to sell. 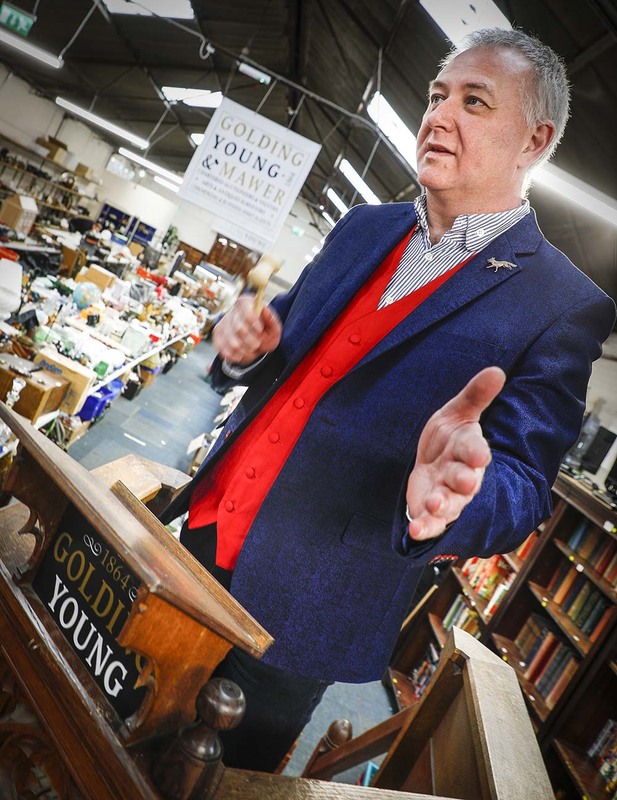 Having sales like those hosted by Golding Young means a wider range of quality of stock, not only those you feast on glamorous results cherry-picked by experts like Colin, who also presents BBC programmes like Bargain Hunt, and won Young Auctioneer of the Year in 1996, but at the lower levels too. 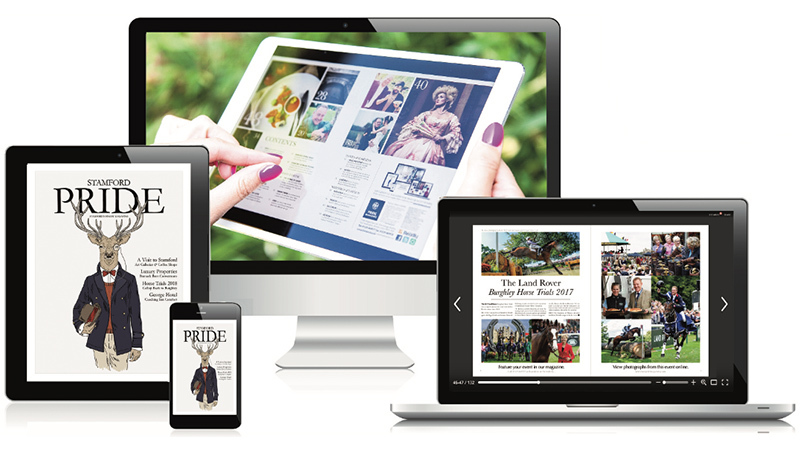 As well as improving auction rooms’ quality of stock, the internet has increased the audience of sale rooms well beyond buyers’ willingness to travel a particular distance, and made it possible for them to be in two sales at once. 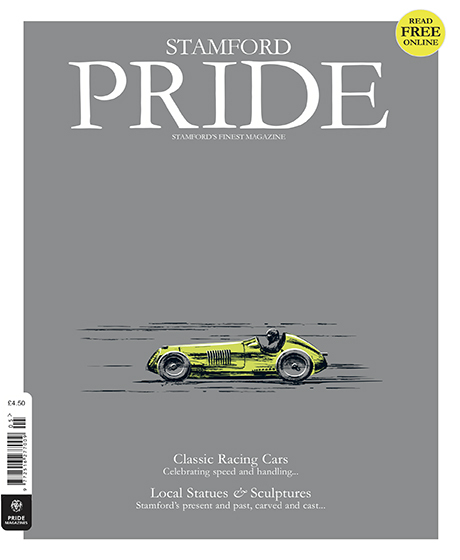 The company has sale rooms in Bourne, Grantham and Lincoln, and hosts monthly Collective sales as well as Arts & Antiques sales and sales through the year for automobilia, ceramics, Asian art and so on. Each sale features about 1,500 lots, and they’re typically attended by an audience of about 200 people in person. But now, there’s a hidden audience of thousands online making bids too. That means as a seller, you’re likely to get a better price, as a buyer, you’ve easy access to better lots than ever and as an industry, the likes of Golding Young are really prospering. Selling around 70,000 lots annually, Colin’s successes include a Cello which sold to a Canadian collector for £11,000, a sideboard which sold for a cool £135,000 and a James Campbell painting which was sold to the Tate Modern Gallery for £15,000. The firm’s antiques and fine art department has valued about £40,000,000 over the past five years or so. But what’s the secret of auctioneering? Another part of the fun for Colin is that you never know what lots are going to come through the door. 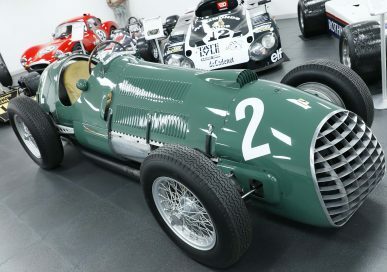 Colin is a fan of vintage motorcycles and was delighted to see a vintage Triumph through the door; it’s now parked next to a convertible Mercedes which will also feature in the next automobilia sale. Valuation is tricky, but again, that’s part of the skill. All items have a sort of Schrödinger’s valuation; with all items’ value dependent of age, provenance, and the ebb and flow of trends and fashions. 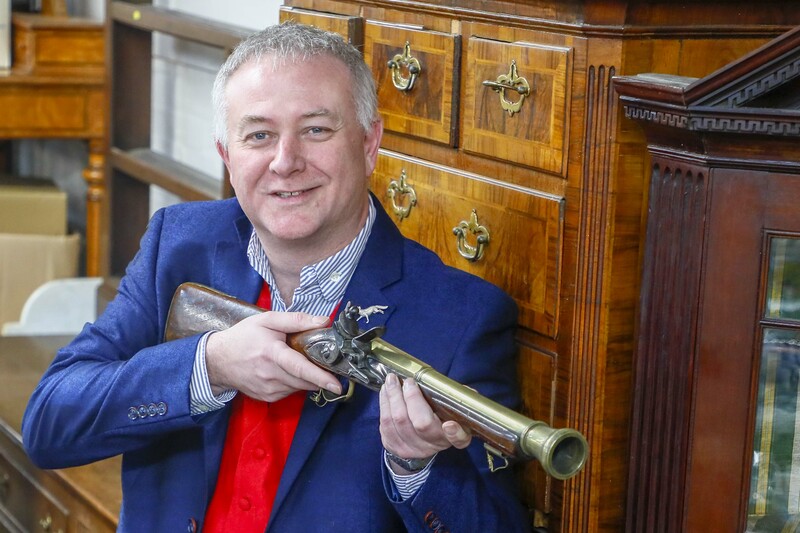 Colin Young has 30 years experience as an auctioneer based at Golding Young, established in 1864. 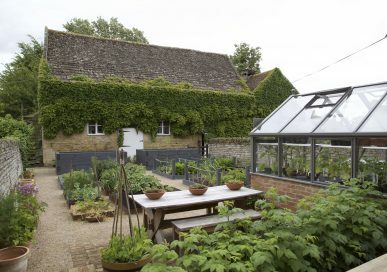 The company has sale rooms in Bourne, Grantham and Lincoln, and offices in Stamford and Louth. For no-obligation advice, valuations and to view catalogues of future sales online, see www.goldingyoung.com or call 01778 422686.